Scientists at the U.S. Geological Survey now believe oil drilling might have triggered the 1933 earthquake that left more than 100 people dead in the Los Angeles region. Going back through historical records, they identified several quakes in the 20s and 30s that might have been caused by industry activities. 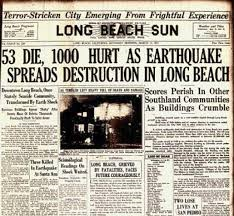 The 1933 magnitude 6.4 quake that hit the port city of Long Beach was one of them. “We pretty much assumed that earthquakes in the LA area are natural and that induced earthquakes are either not happening or not significant,” said Sue Hough, a USGS seismologist who led the study. 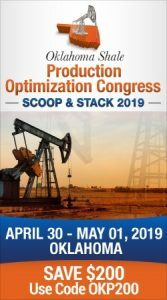 It’s not confirmed yet but it’s believed to be the first time that oil operations were linked to a deadly quake in the U.S.
Man-made quakes have drawn the attention of scientists throughout Oklahoma because of the hundreds of quakes recorded in the past few years. While none reached the strength and magnitude of the 1933 event, they have hit 5.8 magnitude in Pawnee. The findings appear in Tuesday’s edition of the Bulletin of the Seismological Society of America. The Long Beach quake hit after operators ramped up their drilling efforts moving from north of downtown LA to Santa Fe Springs, Inglewood, Torrance and Long Beach. Scientists say the Long Beach quake hit after oil operators started drilling wells at different angles. At least 115 people were killed.